I created these little beauties to celebrate mine and Mr H’s second wedding anniversary. I know you’re traditionally supposed to give paper (or is it leather, I forget) but the way to a man’s heart is through his stomach and the way to my man’s heart is chocolate and peanut butter. 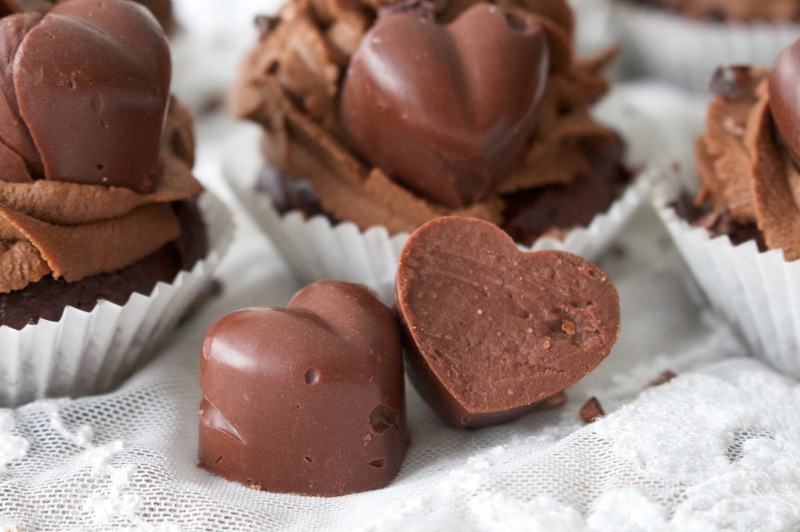 To be honest it’s the way to my heart too, which is perhaps why our marriage works so well – a mutual love of all things chocolatey and peanut buttery – it’s as good a foundation for a relationship as any in my book! 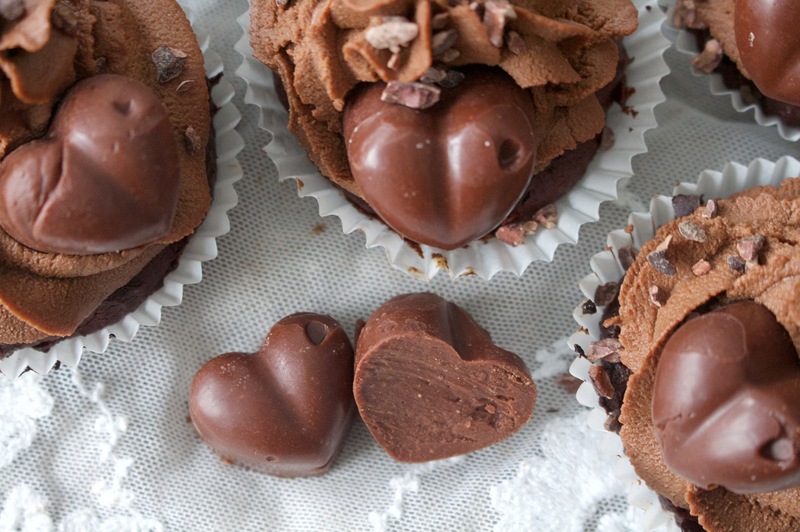 These delicious truffles are so ridiculously easy to make, but they taste absolutely heavenly. Plus they only use 5 ingredients! I’ve started making these for people for gifts now because they just go down so well and no one can believe that they’re healthy! Go try them for yourself – I think you’ll love them too! Simply melt the cacao butter in a bowl over a saucepan half full with boiling water, stirring until melted, then remove from the hob stir in the maple syrup, followed by the cacao powder, peanut butter and salt. Once it’s all smooth, pour into moulds and leave in the fridge for 15 minutes to set. That’s it!